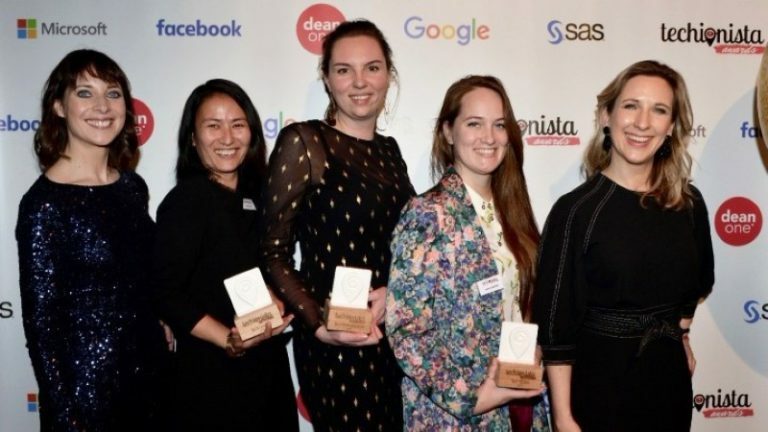 Yesterday the 5 most talented Women in Tech in the Netherlands received the Technionista Awards. The ceremony took place on the evening of 18th of January, in the Amsterdam Restaurant C. The winners were chosen by the Jury in 4 categories: Tech Talent, Tech Leader, Tech Entrepreneur and Tech Inspirator. Additionally, the Public Award was granted. "The jury did not search within the Tech Entrepreneur category only for someone with a well-executed idea, but an idea which is at the same time applicable and convincing as a business model. According to the jury, 3D printing is the future. 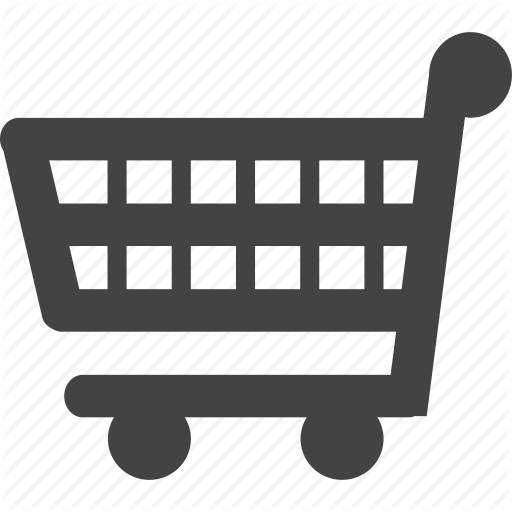 3D-printing of FOOD, speaks to the imagination even more." 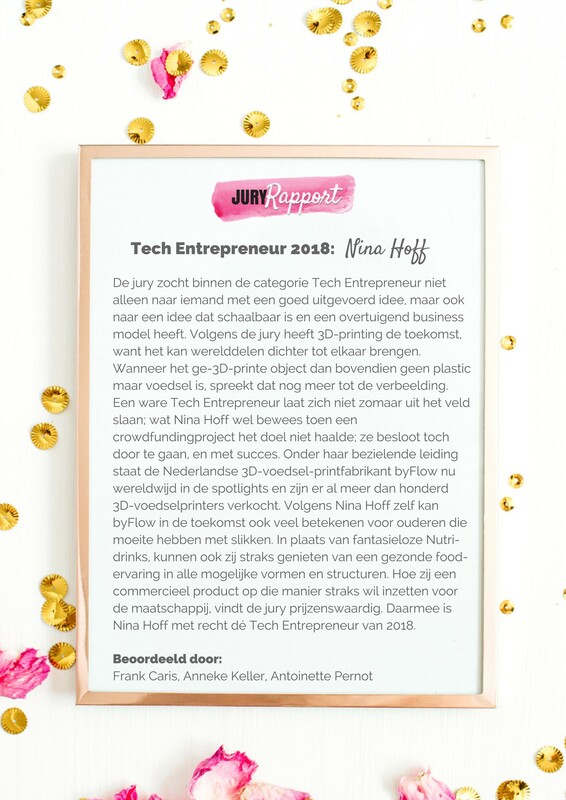 says the Jury's report, justifying the decision of choosing Nina Hoff, byFlow's CEO, as the Tech Entrepreneur of the year 2018. After the huge success of byFlow at the Food Industry Fair Horecava 2018 and announcement of their collaboration with Verstegen Spices&Souces, the award is the company's third great achievement within less than a month of the new year. Nina Hoff and her team are certainly on the best way to prove that 2018 is going to be the year of 3D Food Printing and that their hashtag #byFlowiseverywhere is more than catchy marketing. - Esther van Luit - winner of the Public Award. The jury of the Techionista Awards 2018 consisted of: Gina Doekhie (Forensic IT expert, FOX-IT), Mary-Jo de Leeuw (vice president of Women in Cyber Security Foundation), Tineke Meijerman (Head of Corporate Communications Benelux, Facebook), Antoinette Pernot (Senior Account Manager, SAS), Daphne Laan (Head of Partners, Google Netherlands), Anneke Keller (Head of Jumbo Tech Campus) and Frank Caris (CCO dean one). The report of the Jury.